Diamond Blue employs a friendly, committed and enthusiastic team of advisers and client service personnel who maintain a highly personalised approach to clients. All senior advisers have achieved the industry's leading course of study - Diploma of Financial Planning and monitor industry and market trends ensuring their advice is relevant. Ben is the CEO of Diamond Blue Financial Services and has more than 17 years experience in the finance industry, 10 of those years with Diamond Blue Financial Services. Ben and his team of specialists now manage over $500M on behalf of clients. 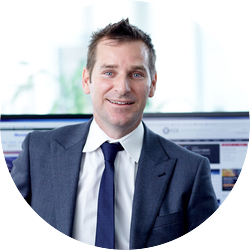 Ben’s speciality is in investment, wealth creation, superannuation and retirement planning strategies for high net worth clients. Ben’s ability to simplify complex situations and provide a solution in a short period of time is highly regarded in the industry. Prior to establishing Diamond Blue Financial Services, Ben held a variety of positions within funds management and financial planning firms including National Australia Bank and BT. Ben is dedicated to staying one step ahead of the market and has a passion for providing the highest quality service. He believes planning your financial future should be a positive experience and clients should be thinking about solutions for superannuation, investments, retirement income, income protection and estate planning as a minimum. 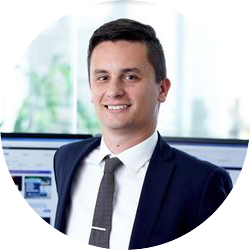 Nominated as the 2010 and 2006 Rising Star Award (Association of Financial Advisers), Ben prides himself on keeping up to date with legislative changes, investment markets and new client strategies to ensure he delivers valued client outcomes. 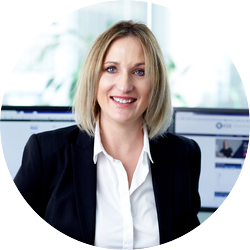 Michelle is the principal of Diamond Blue Financial Services and is responsible for the Risk Management Division, Michelle specialises in mortgages, superannuation, personal insurance, and key man/ business insurance. With over 22 years of financial experience, Michelle's greatest strength is her client relationships. A testament to this is the many private clients who have followed Michelle throughout her 22-year career. Michelle prides herself on providing quality advice with a high level of integrity and an intuitive knowledge of financial products and services. Prior to joining Diamond Blue, Michelle spent 10 years with a retail bank servicing all parts of NSW, allowing her to connect with a range of people including high net worth clients, business and working families. Michelle has been the recipient of numerous awards throughout her career including, 'Personal Banker of the Year', 'Supervisor of the Year' and 'Insurance Adviser of the Year' while at National Australia Bank. Dianna has worked in the insurance industry since the year 2000. Working both inside and out of the insurance companies has helped her to develop a very strong technical knowledge in the industry. Her technical strength provides clients with easy to understand information on insurance policies, therefore providing them with the most appropriate cover considering their personal and financial circumstances. She is passionate about protecting the lives of her clients against the financial hardship that a health crisis could effect on an individual, family or business. Elise has over 11 years of experience in the financial planning industry and has joined Diamond Blue Financial Services as a Financial Planner. Elise has a strong focus on educating clients to allow them to make informed choices about their financial lives and help to simplify the often confusing jargon of the financial planning industry. Elise believes working closely with her clients to accumulate their wealth, protect their wealth through insurances and continual monitoring of their situation, will maximise the probability of her clients achieving their longer term goals and objectives. Being interested in financial planning at a young age, Elise started investing in shares and property in her early 20’s and considers it’s never too early to start thinking about your financial future and taking steps to make small changes which can have a big impact in the long term. 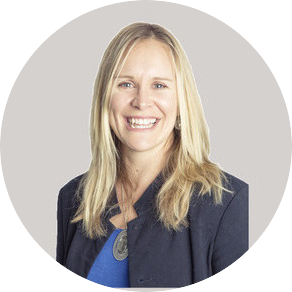 Elise holds a Bachelor of Commerce Degree from the University of Wollongong, a Masters of Applied Finance and is qualified as a Certified Financial Planner (CFP) through the Financial Planning Association of Australia (FPA), the highest financial planning qualification worldwide. Paul has been advising trustees of self-managed super funds and private clients for over ten years. Whilst specialising in self-managed super, Paul has a great depth of knowledge and experience in all financial advice areas and funds management. Paul is a regular contributor to national media on the subject of self-managed super and is passionate about client education and providing and structuring individual client solutions. 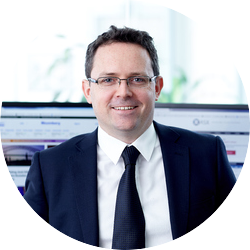 Prior to joining Diamond Blue Financial Services, Paul worked as an adviser and investment manager for a boutique financial planning firm, where he specialised in client portfolio and strategy development. Paul holds a Bachelor of Business Degree, Diploma of Financial Services and has completed several self-managed super fund specialist courses. Jack has over 10 years of experience in financial planning, investment market and asset management. Jack’s role is to manage client investment portfolios by working closely with the Diamond Blue Financial Services' investment consultants, financial planners and Chartered Accountants. Jack is deeply aligned with Diamond Blue Financial Services' investment philosophy of achieving top-tier returns through investment managers selection and asset class diversification. Jack holds a Bachelor of Commerce Degree from the University of New South Wales and has been awarded his Chartered Financial Analyst (CFA) credential and is committed to achieving top-tier returns through investment managers selection and asset class diversification. Sophia started her career with Diamond Blue Financial Services in 2011 and has since gained experience in financial planning compliance and risk protection. 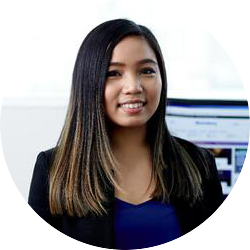 Prior to this role, Sophia spent 4 years working closely with Diamond Blue's financial advisers to ensure clients met their insurance goals and objectives. Sophia's current role is to help our team ensure compliance standards are met. Sophia has helped improve Diamond Blue Financial Services' performance and compliance by continuing to adapt to the continuous regulation and compliance requirements within our industry. Sophia received her Bachelor of Commerce with a Major in Accounting at Macquarie University. She is currently completing her Advanced Diploma of Financial Planning. In 2009, Jeremy joined Diamond Blue Financial Services with a Bachelor of Commerce in Finance and International Business from the University of NSW. He has since earned his Diploma of Financial Planning and is currently a Level III Candidate in the CFA while an employee here. Jeremy has over 9 years of experience in the industry and works closely with the advisers as an associate adviser conducting investment research and providing analysis for client portfolios. His other responsibilities include tailoring recommendations for each client portfolio, client communication, client reporting and assisting with monitoring changes in client portfolios. Jeremy has a positive outlook on life and enjoys working with his team to provide clients with exceptional service. Vikram joined Diamond Blue Financial Services in 2014 with a Bachelor of Business from the University of Technology Sydney. 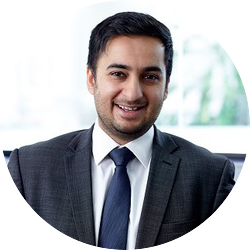 Vikram works closely with the advisers as an associate adviser conducting investment research and providing analysis for client portfolios. His other responsibilities include tailoring recommendations for each client portfolio, client communication, client reporting and assisting with monitoring changes in client portfolios. Vikram prides himself with a great level of attention to detail and strong technical and communication skills. Alex joined Diamond Blue Financial Services in 2017 after working for 4 years at Ord Minnett, most recently as an Adviser Assistant. He has a Bachelor’s degree in Commerce, majoring in Economics and International Business and is currently pursuing the Advanced Diploma of Financial Planning. 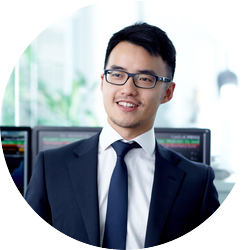 Alex's responsibilities include conducting investment research, providing analysis for client portfolios, clear client communication, client reporting and implementing changes in client portfolios. Alex takes pride in ensuring clients are kept well informed and up to date with their portfolios. In 2015 Amanda joined Diamond Blue Financial Services and initially worked alongside Risk Specialists Dianna Pecherczyk and Michelle Peters in assisting clients with their insurances. Amanda then progressed to the Investment Team and worked with Ben Peters and Vikram Flora in maintaining client portfolios. Amanda has since become a Paraplanner and works closely with the whole team in preparing strategies and advice pieces for new and existing clients. Amanda holds a Bachelor of Economics with a double major in Finance and Economics from the University of New South Wales. 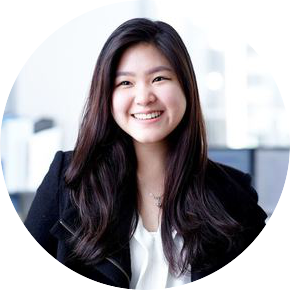 She has since earned her Diploma of Financial Planning and is currently pursuing the Advanced Diploma of Financial Planning. 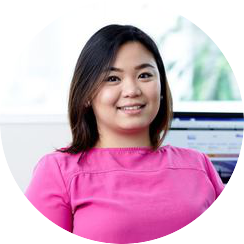 Lizbelle joined Diamond Blue Financial Services in August 2011 and has over 6 years' experience in the financial planning industry. She has a Bachelor of Commerce with a Major in Accounting at Macquarie University. Lizbelle works closely with Paul Oliver and is currently responsible for client administration. She supports the advisers in providing exceptional service to new and existing investment clients of Diamond Blue Financial Services. 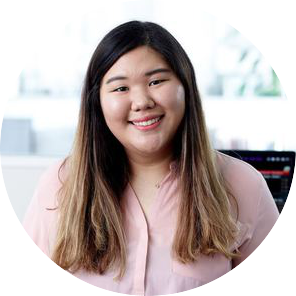 Lizbelle's main role is to assist in the preparation of Statements of Advice, guide clients through the implementation process, initiates and monitors account transfers, and helps maintain communication between clients and advisors. She is currently undertaking her Diploma of Financial Planning. Joshua has recently joined Diamond Blue Financial Services with a Bachelor's degree in Agricultural Economics majoring in Finance. 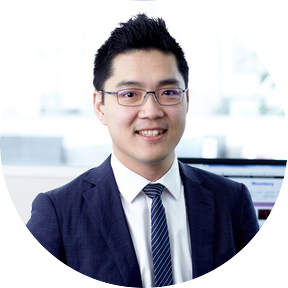 He has previous experience in being a part time Junior Analyst in a financial planning firm while completing his degree in University of Sydney. Josh works alongside Vikram and his main responsibilities are to assist in generating client reports on a quarterly and annual basis, preparation of Statements of Advice, implementation of recommendations and to provide excellent ongoing service to clients. Tara joined Diamond Blue Financial Services with a Bachelor’s degree in Financial Advising and is RG146 qualified. Tara has 4 years' experience in customer service roles within the financial planning industry. Tara works alongside Aleksander and her main responsibilities are to assist in generating client reports on a quarterly and annual basis. Tara also assists the advisers in the preparation of Statements of Advice, implementation of recommendations and provides excellent ongoing service to existing clients. Olivia initially joined Diamond Blue Financial Services in 2017 through the company's internship program and has since progressed to a full-time role. Olivia works closely with Elise Hamill in maintaining clients' portfolios and assisting clients with their insurances. Her main role involves assisting Elise in preparation of Statements of Advice, implementing investment and insurance recommendations, monitoring client portfolios and assisting clients with administrative enquiries. 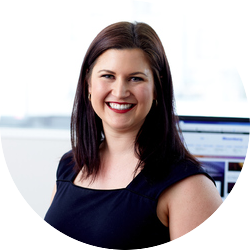 Kirra has 4 years experience in financial planning, specialising in risk protection. She is located on the Gold Coast and has been with Diamond Blue Financial Services since 2015. Kirra has been dedicated to working with clients on their insurance and protection plans. 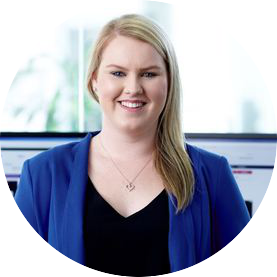 Kirra’s role is to work as part of a team alongside the advisers to provide our clients with a professional ongoing Financial Planning experience. This includes preparation of Statements of Advice and implementation of insurance recommendations in line with the industry's compliance requirements. For Kirra, it really goes beyond just paperwork; it is rewarding to know that she plays a hand in helping to provide protection and peace of mind for each and every client she works with. Cody holds a Bachelor’s degree in Commerce, majoring in Financial Planning and Marketing and has 2 years' experience in customer service roles within the financial planning industry. Cody's role is to work alongside Dianna and Kirra in providing excellent ongoing service to existing insurance clients - contacting customers and helping them with day to day enquiries.